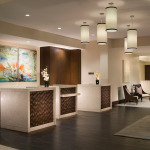 Located in the Westshore district, this 323-room hotel is known as a destination for business and vacation travelers. 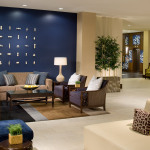 As part of a major property renovation and conversion, the C+TC team created a new look that allows guests to relax and unwind in a comfortable yet sophisticated setting. 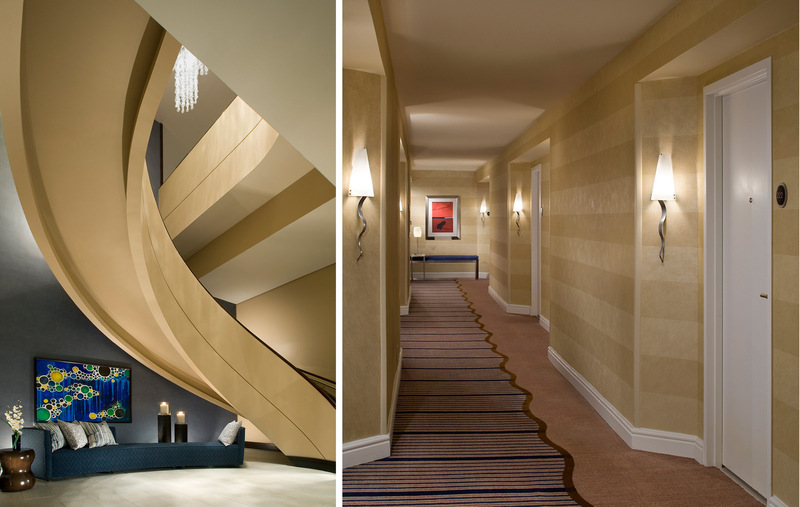 Playing on the hotel’s modern architecture, a contemporary design carries into the interiors. 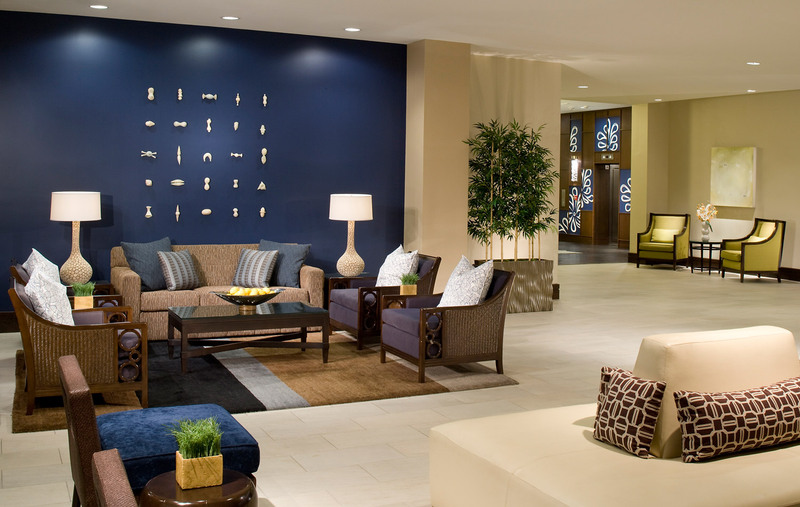 Energetic colors and rich materials create a fresh identity for these spaces. 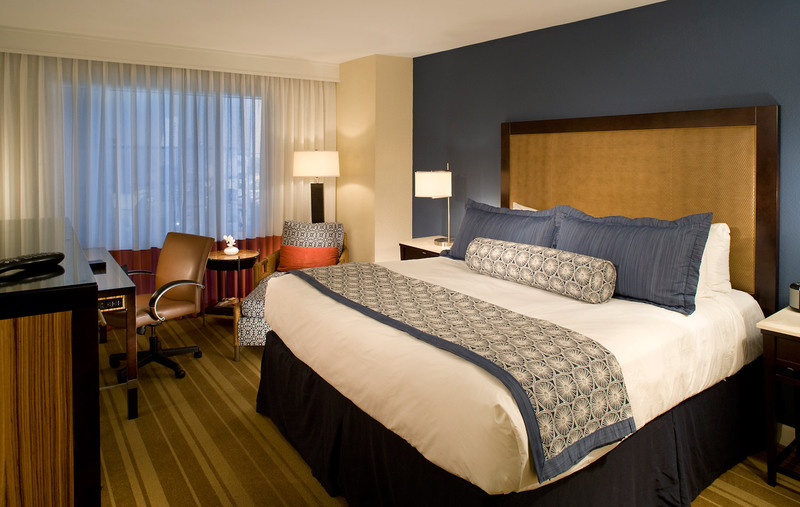 The variety of textures instills a sense of refined easiness in the guestrooms and public areas. 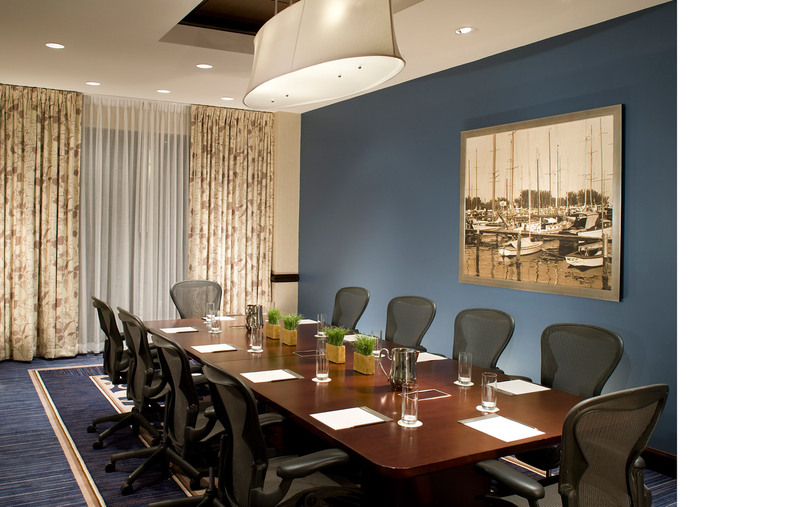 The finishes reflect a coastal palette, evoking traditional and timeless seaside design. 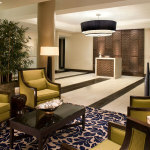 The lobby at Intercontinental Westshore with lounging area and house plants. 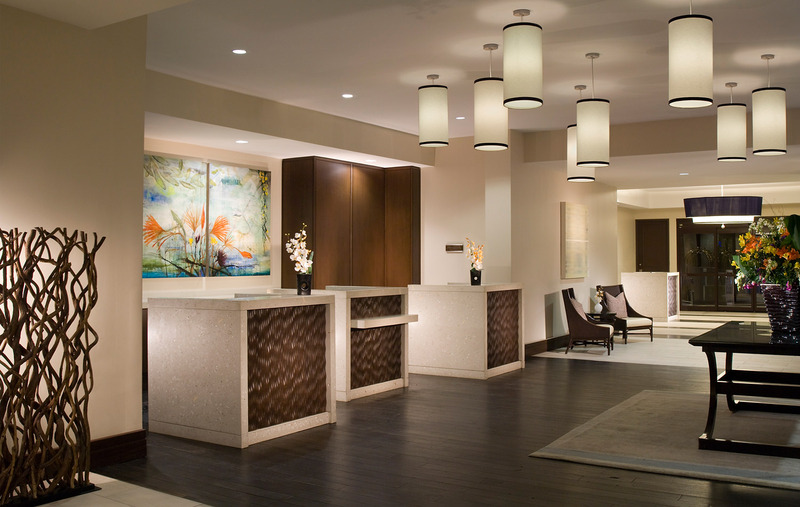 The lobby of the InterContinental Westshore. 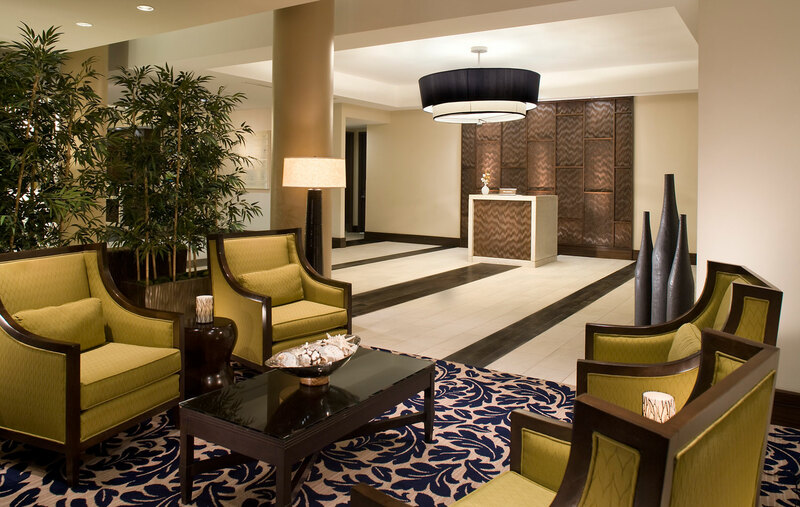 The main lobby at the InterContinental Westshore. 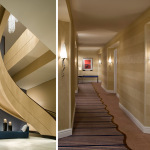 Amazing spiral staircase and hotel room hallway. 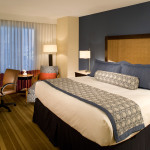 A master bedroom at the Intercontinental Westshore. 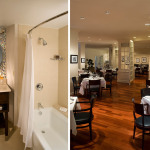 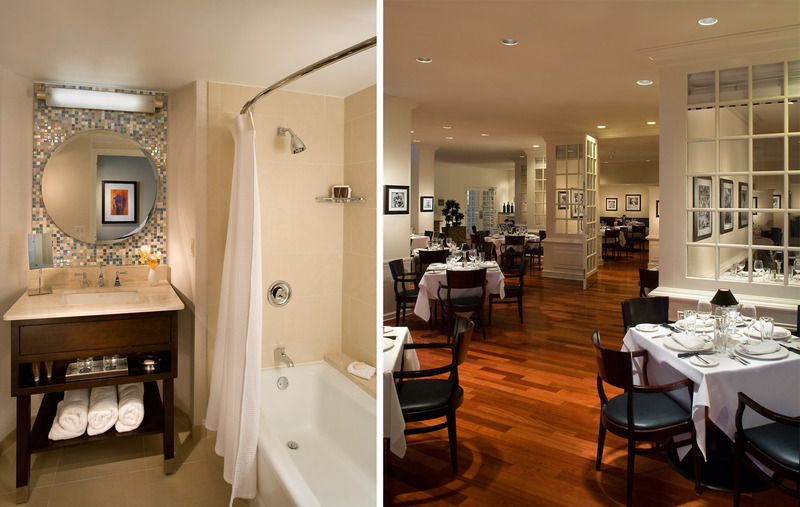 The dining room at the Intercontinental Westshore and a picture of a luxury bathroom. 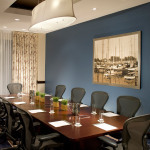 A conference room at the Intercontinental Westshore.